The Queen passed another social media milestone by posting an image on Instagram for the first time as she announced the Science Museum’s new summer exhibition – Top Secret. Touching an iPad screen, she shared an image on the official royal family account of a letter from 19th century inventor and mathematician Charles Babbage to Prince Albert. Known as a pioneer of the computer, Babbage wrote to Albert in 1943 about his Analytical Engine, a machine which could perform calculations using punched cards and had a memory unit to store numbers. Standing in the Science Museum’s new Smith Centre, the Queen was applauded after she shared the post on the royal Instagram account which was launched in 2013 and now has 4.6 million followers. The Queen’s post read: “In the letter, Babbage told Queen Victoria and Prince Albert about his invention, the Analytical Engine, upon which the first computer programmes were created by Ada Lovelace, a daughter of Lord Byron. During her reign the Queen has encountered a rapidly-changing world of technology, from the advent of colour television to mobile phones and the internet. Television cameras were allowed inside Westminster Abbey in 1953 to film her Coronation and more than half a million extra TV sets were sold in the weeks running up to the historic event. Five years later, she made the first trunk call in the UK and, when email technology was in its infancy, she became the first monarch to send one of the electronic messages – during a visit to an Army base in 1976. The concept of video-sharing website YouTube was explained to her by Princesses Beatrice and Eugenie before she launched her own channel on the site in 2007 to promote the British monarchy. Her own website, www.royal.gov.uk, was launched in 1997 during a visit to Kingsbury High School in Brent, north-west London. 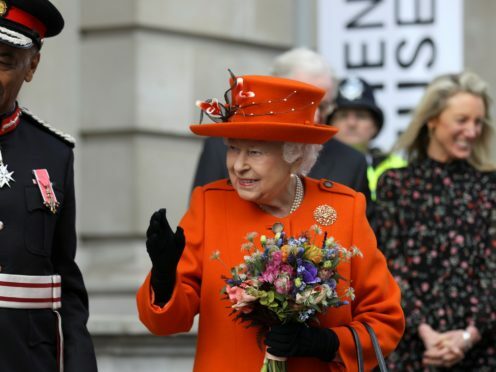 Other technological milestones for the Queen include personally uploading a video on to YouTube during a visit to the Google offices in London in 2008, and in 2014 she posted her first tweet under her own name to declare the opening of the new Information Age Galleries.